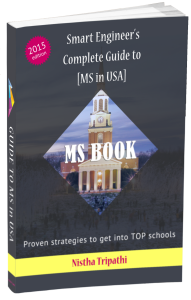 Is it worth doing an MS in the US after the recent developments in the H-1B visa? Why is Trump after H-1Bs? Trump has so much political pressure because of his promises during the elections that he is going over board. This has been worsened by Disney’s lawsuit where an American employee who was laid off sued that tech companies are not hiring foreigners because they cannot find that talent in US but they are hiring them because of low wages. Making it too tough will definitely antagonize Tech industry which itself is a non-trivial lobby. Therefore, I see it as a short term issue rather than long term. What are the proposed changes to H-1B visa norms? Should international students be worried? First point here is quite negative and if its raised to 130K as per the latest proposal on 31 Jan, it will be brutal. No doubt. In fact, if they clamp down more on TCS/Infosys scenarios, it might turn out beneficial to other H-1B applicants (including grad students) because of reduced competition! Assuming it passes and minimum wage is raised to 100K+ will impact recruitment and many employers may cut down on campus recruitment of internationals. As one post here points out about Mech recruitment slowdown even from a school like UIUC – that is possible in other non-IT fields as well. Although to be fair, Mech recruiting has always been more sluggish than CS, EE, MIS/MEM recruitment because many jobs are in defense or state agencies which require American citizenship. It means that a student will have to hustle more for limited jobs. That is harsh reality. So, there is no doubt that circumstances of finding jobs/internships will get TOUGHER if these laws are passed (only if min wage is increased too much, OPT ext revoked). Now, should you not go for MS in that case? Apply to schools with chances of funding/lower financial burden. Apply to schools in urban areas, metros such as NYC, Silicon Valley, Boston, Chicago – if companies get wary of recruitment, they stop traveling to interior locations. At the end of the day, there will always be jobs for people with strong skills (in in-demand fields such as IT, Analytics etc) but those who are relying on getting an easier pass just by graduating from US may have to bite a bullet. In summary, I am not saying that things are all hunky dory and there is nothing to worry but unless this law gets passed, it doesn’t matter. Just like his ban on 7 nations is still in a state of confusion (with federal court ruling against his ban but executive order still prevailing) – things are murky. Let’s wait and watch. So, please be patient. What I have heard about campus placements so far? UMCP MIS has seen decline in companies sponsoring H-1Bs. A student seeing a decline in campus placements and H-1B sponsorships at NCSU. Another student was more neutral about her MSBA program at ASU. She will inform once the fulltime recruitment begins this semester. A student who recently graduated and is on OPT has not reported any negative news in his company yet. This post was originally posted on Quora. Is Trump victory good or bad for International Graduate student? Should you be worried about Trump’s attack on H-1B? Scholar strategy has been of great help during my entire application process and I hope it keeps on doing well and helping others like me.